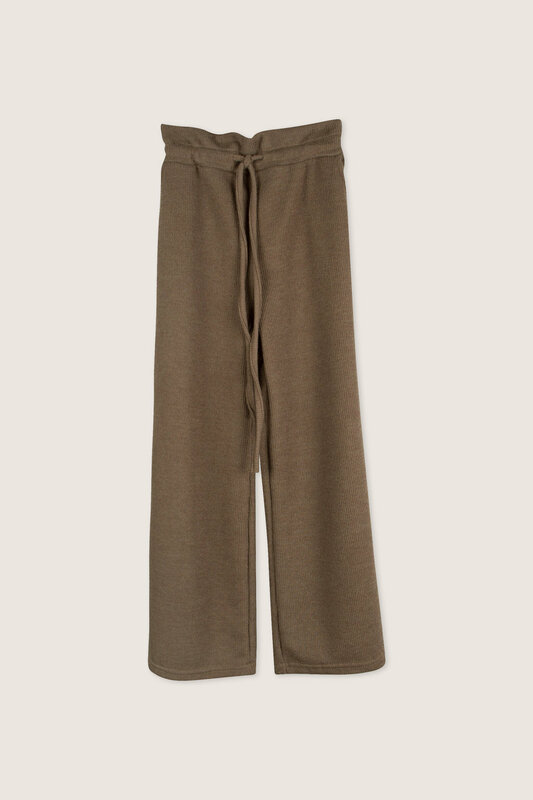 Cut in a cropped wide-leg shape, these pants have an adjustable drawstring waist and is made from a soft sweater-like fabric. This versatile casual piece can be easily styled with anything from t-shirts to sweaters to create endless everyday looks. Try pairing this with a fitted turtleneck and heels for an office-ready look.